For over 60 years of our existence we have been enjoying a good opinion as an experienced and reliable business partner. Our team of specialists is always ready to help you. Alwro stands for state-of-the-art technology and solid workmanship. 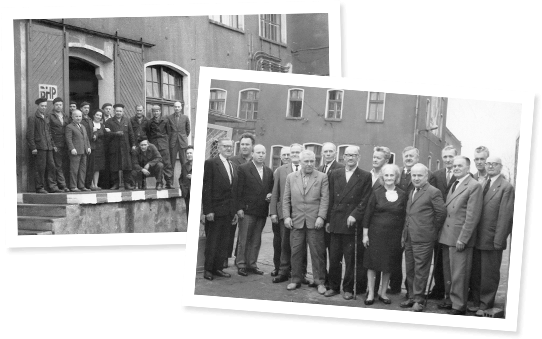 ALWRO S.A. Zakłady Odlewnicze (ALWRO S.A. Foundry), based in Wroclaw, Lower Silesia, Poland, is a privately held company which has been carrying on the work of the ALWRO Foundry since 1991 and whose history can be traced back as far as 1946. Its present manufacturing and organizational structure has been developed since its establishment more than 60 years ago. The strength of our company has always been and remained the production of cast parts via the sand and metal casting processes. In 1993 ALWRO started pressure die casting technology and in 1996 centrifugal casting, opening at the same time the new chapter in its business activity. Currently ALWRO offers a broad assortment of non-ferrous metal pieces (copper, aluminium and zinc alloys) made in pressure die technology, in permanent-moulds (gravity and centrifugal) as well as in sand moulds which are ideally suited for the production of very complex machine and device parts. This wide range of offered products ALWRO owes to its experienced and stable staff of engineers and specialists, who enable the company to achieve higher and higher levels of growth and development. Stable management, unchanged from over a dozen years, is the basis of professional cooperation. ALWRO is a recognized supplier to companies in the mechanical engineering, shipbuilding, lighting, chemical, automotive and household appliance industries. Quality management system in ALWRO includes all fields of company’s business activity. permanent monitoring of main quality aims’ achievement degree. The objective of quality assurance policy is to fully satisfy customer needs by complex services including professional help in economization of cast construction, proper selection of materials and components as well as the application of appropriate casting equipment. Our company specializes in casting processes. The ALWRO foundry offers top-quality products. We also offer manufacturing processes such as annealing, heat treatment and induction hardening. When you hear the terms “aluminium foundry” as well as “brass and bronze foundry”, think of ALWRO S.A. Wrocław ul. Karwińska 1.